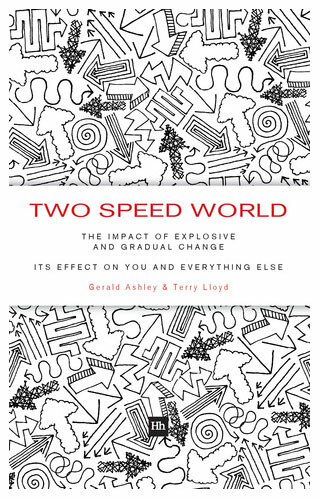 We live in a bewildering world of change, which splits naturally into steady progress punctuated by sudden disruptions – the two speed world. Steady progress ensures the survival of our species, but it is the disruptions that move us to a new level. Both types of change, slow and rapid, are important, because they mould and shape our lives, but because of their widely divergent characteristics it is sometimes difficult to recognise a major life-changer until it is too late. Even if we do spot the upheaval, we cannot deal with a change unless we understand it. Examining leading edge ideas and examples from history, this book gets to the heart of this dilemma. How do we recognise the type and importance of the changes that we face? What pitfalls must we avoid in order to keep to the correct path? What tools are available and when are they applicable? How can we avoid the temptation to redefine a change in order to make it fit our favourite tool? The past masters of change were mavericks who pushed against the prevailing wisdom of the day in order to give us answers to these questions. Theirs’ are fascinating stories. Key topics include: – Steady advances and abrupt changes – Statistically predictable developments and unforeseeable events – The brain’s two modes of perceiving the world – The need for people both inside and outside ‘the box’ – Planning for alternatives, or making a plan to secure a single outcome – The entrepreneur’s approach – The environment needed to support the innovator Ranging across a wide sweep of history, management thinking and ideas from science and engineering, the authors distil a simple but effective approach to understanding change; showing how to improve decision-making and risk-taking for more successful and profitable outcomes. Every form of life in the world is connected: individuals, groups, businesses, governments. There is no such thing as total isolation. Many of these connections are plain to see, and it is a commonplace to say we live in a global village. Crucially, though, the various links and relationships have been difficult for classical analysis to understand and predict.As networks and connectivity are central to the human experience, there has been a long history of trying to understand these linkages and to predict their influences and impacts; but the traditional approaches have yielded unsatisfactory explanations. Many attempts at analysis have centred round ideas of describing the world in terms of free independent agents. But it is agents’ ‘linkages’, both strong and weak, that underpin much of human activity. 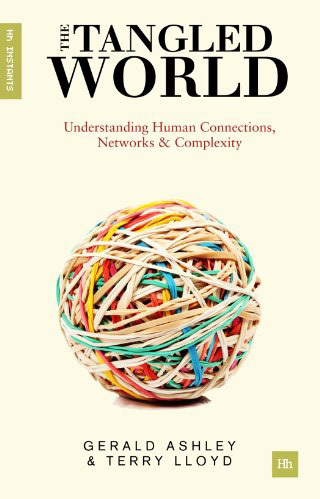 Whether it is stock market moves, sudden adoption of new technologies, or the unexpected consequences of long chains of events, the inter-connectivity of life appears to defy simple explanation.In this revealing work the authors draw on multiple sources to uncover the answers to the big questions about group behaviour, connections and the complex relationships that drive our world. In particular:- What happens when agents interact?- Is it possible to make sense of all these connections? – Why are some connections more important than others?- In a world of hugely complex and intricate links, what are ‘super spreaders’, and why are they critical?- Can we measure and model ’emergence’? – What are the new approaches and thinking we need to embrace and understand the world around us? “Excellent and easily intelligible” – Rory Sutherland, The Spectator. 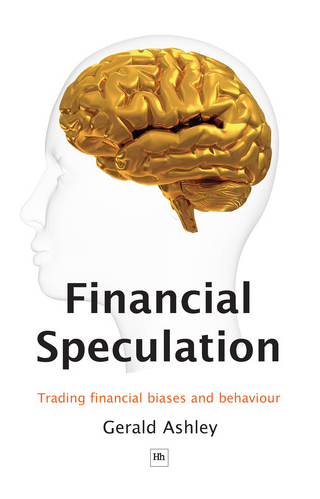 When we deal in the financial markets are we investing, speculating or gambling? Does it really matter what we call it? As this book shows, the world of finance is not an easily defined game. Simple labels, such as gambling and speculation, won’t help us grasp the underlying forces that drive the markets. It’s far more important to understand the behaviour and biases of the players – their actions and motivations are the vital components that drive everything; bubbles, crashes, huge fortunes, reckless borrowing and complex instruments and strategies, all flow from this simple fact. And the markets are not just an external object, to be studied dispassionately under a microscope. How we act within our inner self, and apply our own set of risk and reward values to the seeming chaos of the market, is absolutely crucial. Clearly whatever games that are going on in the market are also going on inside our heads. Gerald Ashley gets to the heart of the financial markets. He draws on a wealth of revealing and instructive market insights, stories and anecdotes, challenges all the tired cliches about speculation, and slaughters many of the outdated sacred cows of finance. The book ranges across all the major asset classes, looks at past masters of the art, examines modern thinking on finance and risk, and assesses the value of experts, economists, chartists, market gurus and analysts. Simple examples are used to explain how the basic tools of finance fit together and how to profit in this often complex and unforgiving landscape. If one adds Gerald Ashley’s innovative thinking to his track record as a successful trader and his wealth of experience in international banking, this book makes compulsive reading – David Buik, Veteran City Commentator Panmure Gordon & Co.
Gerald Ashley has written a first-rate book… [he] provides a fresh assessment of the core principles that have ruled finance for decades and plucks the most useful elements to shows us what really drives the market in booms and busts – Max Zeledon, Seeking Alpha Magazine.